The best possible sound. Nothing is allowed to interfere with the original sound of the recording; it’s all about music! Listening to music or watching a movie is not the same for everyone. The reason why is because we process audio and video on a subconscious level. In other words, it's an emotional experience. When the content is produced in a natural way, true to the intentions of the composer or producer, you might just get goose bumps. Setting a new standard for sound quality at the price point. That goal was achieved with flying colors by our engineers. Now you can understand why we called our most accessible range the ‘Reference Series’. The first product of our Reference Series is an immediate game changer. Look at the impeccable build quality. Have every confidence in the musical abilities of the RI-101 Integrated Amplifier. The RI-101 is available with an optional Built-In DAC. Click the image for a pdf the product. The output stage is taken from the SM-10 monaural amplifier. 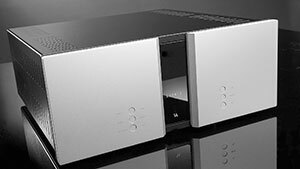 By putting all our efforts into developing this true balanced integrated class A amplifier, we succeeded in making the new higher level of integration perform to the standards that any customer would expect from our Signature Series. Have you ever listened to one of our Signature Series products? You'll be thrilled! The SIA-025 adds more flexibility in terms of more inputs, the possibility of bi-amping should it be needed and a full bypass function for enabling compatibility with external surround processors.